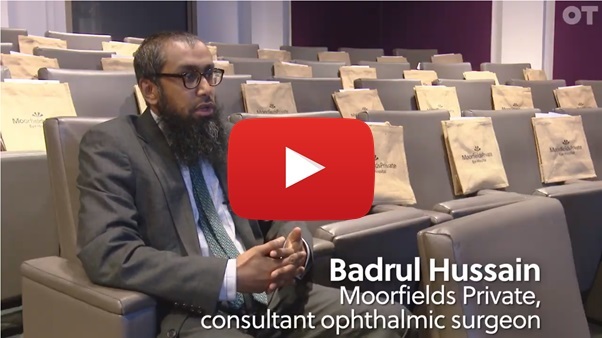 On Wednesday 10 October, Moorfields Private hosted its first education event for GPs and optometrists to provide additional training about eye conditions. The event was chaired by Mr Nick Strouthidis, the trust’s newly appointed medical director and a consultant eye surgeon at Moorfields Private. Professionals from across London and the South-East joined the event at the Royal Society of Medicine to hear presentations from several of our consultant ophthalmologists. 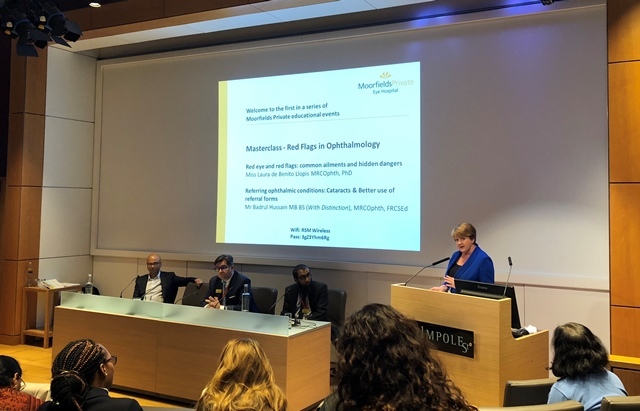 Ms Laura de Benito-Llopis presented on eye surface diseases and Mr Badrul Hussain gave an overview on cataracts and the latest surgical technologies that are available at Moorfields Private. Mr Bishwanath Pal and Ms Pari Shams joined the panel of ophthalmologists for the Q&A session which allowed guests to share experiences from their own GP or optometry practice. If you are a GP or an optometrist and you would like to receive information about Moorfields Private events, please contact our referrer engagement team on: moorfields.privatereferrals@nhs.net . Please include your name, practice address and contact details. Watch the video: When is the right time for cataract surgery? Badrul Hussain, consultant eye surgeon at Moorfields Private, speaks with Optometry Today. Moorfields Private is the private division of Moorfields Eye Hospital NHS Foundation Trust. Its financial surplus is re-invested back into Moorfields to support NHS services.